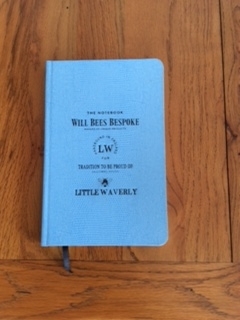 Our first guests very kindly bought us a beautiful bespoke Visitors' Book (with a slightly alternative spelling of Waverley - which is fine with us!) 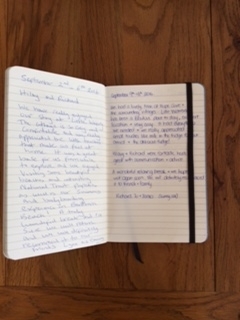 and our guests have been filling it with lovely comments every since. See some examples below and check out our reviews on Facebook and TripAdvisor too. "...Our week here has truly been one of the best ever. Thank you so much for your wonderful hospitality and help with all the details. We hope to return in the not too distant future." "...Rowan loved his bolt hole upstairs and we had everything we needed. We hope to be back!" "Little Waverley provides a beautiful 'home from home' and is a fabulous base to enjoy the wonderful environment of Hope Cove..."
"...Little Waverley has been a fabulous place to stay, excellent location and very cosy. It had everything we needed & we really appreciated the small touches like milk in the fridge for our arrival & the delicious fudge!..." "Ended our break with the Halloween party at 'The Cove'. Our children had the best time... We will be sure to return for longer next time!..." "...The Cottage is perfect & so very cosy after a chilly walk across the beach... We look forward to staying with you again in the future..."
"Despite the wind, rain & hailstones we have had a really lovely few days in fabulous Little Waverley..."